What island likes to have a lot of sweets? A deserted island J OK…OK…so we decided to head to the desert right after Christmas, but due to our unexpected trip to the Midwest, we ended up adjusting our dates so we could spend New Year’s Eve at The Miramonte Indian Wells Resort. Indian Wells is in the Coachella Valley (book now for festival season) between Palm Desert and La Quinta. It’s funny how we left 12-degree temperatures in Omaha on December 29, and we were expecting hot desert temperatures to come home to. Well, we happened to come home to a cold snap and the temps in the desert were 60 degrees and below! We are so wimpy now. Needless to say, always check the weather before you pack. 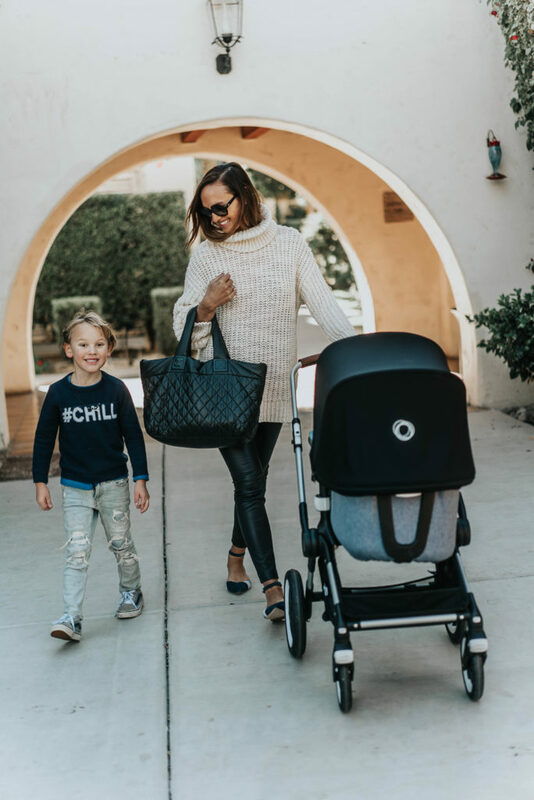 We took a day trip to Joshua Tree National Park and needed our winter clothes! I still grinned and bared it to get some fashion content but wow was I cold! All for the gram! 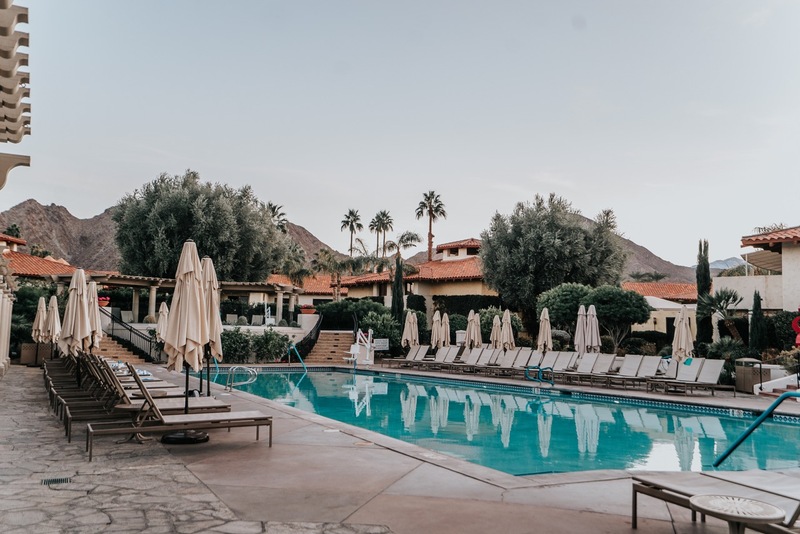 The Miramonte Indian Wells Resort is super family friendly with Spanish style architecture and beautifully landscaped grounds. Our room was garden level with a citrus garden outside our door. The grounds crew even picked some lemons and oranges for us and brought them to our door. The property also has a rose garden and an area with a life-size Connect Four game and bean bag toss, which the kids really enjoyed. We were disappointed because it was too cold for the pool. Although the kids totally would have gone for it if we had let them. We’ll have to return in the spring. The resort also has a spa and adult only hideaway pool. Considering the cold temperatures, our favorite amenity was the fire pits scattered throughout the resort. You can even book a smores package and snuggle up together at sunset with melted marshmallow stickiness goodness. For our hotel room New Year’s Eve bash, we picked up some root beer, sparkling juice, gummy bears, lollipops and popcorn. Whole Foods is a five-minute drive from the hotel. The room was spacious enough for a little dance party as we counted down the New Year. Here’s the nice thing about being on Pacific Standard Time – we celebrate the New Year at New York City time, then we all go to bed early. Does anybody else do this? Despite the temperature hickup, it was a great trip and we’re definitely looking forward to our next visit!